New exchange bettors at Betfair Australia are eligible for an impressive 20% boost on profits up to $500 AUD, when signing up with the Betfair Australia promo code. To claim this offer right now, click on the button below. For full details of the offer, read on. What can I get with the Betfair Promo Code Australia? How to claim the Betfair bonus? Use the button above to reveal the Betfair promo code and access Betfair Australia. Click on ‘Join Now’ and fill in the sign-up form with your personal details. Make sure the promotional code field has been completed. Once your account is created, fund your account and start betting. After 7 days, your 20% profit boost will be credited to your account. A profit boost is different from the more standard bonus bet offer, so let us explain what else you need to know about the Betfair promo code deal. New customers from Australia and New Zealand are eligible, with the exception of residents from Victoria, New South Wales, South Australia and Western Australia. Unfortunately they cannot claim the offer. The 20% boost will be calculated on any markets where a pre-commission profit was made in the first 7 days following sign-up. Markets where a loss was made will not be taken into account when calculating the boost. See the example below to understand better. Your profit boost will be credited within 48 hours of the 7-day period ending. As you can see, the $200 loss made on the Greyhounds Race 6 market is not subtracted from the profits made on other markets. That’s a good thing as it means our profit boost doesn’t depend on us being up overall. A 20% boost on profits is just the trick to get us off to a winning start at Betfair Australia. Let us know how you get on using the Betfair promo code offer to increase your profits. Apple: visit the official store on your device and download as normal. Android: visit the Betfair website and click on the ‘Mobile’ tab to download directly. 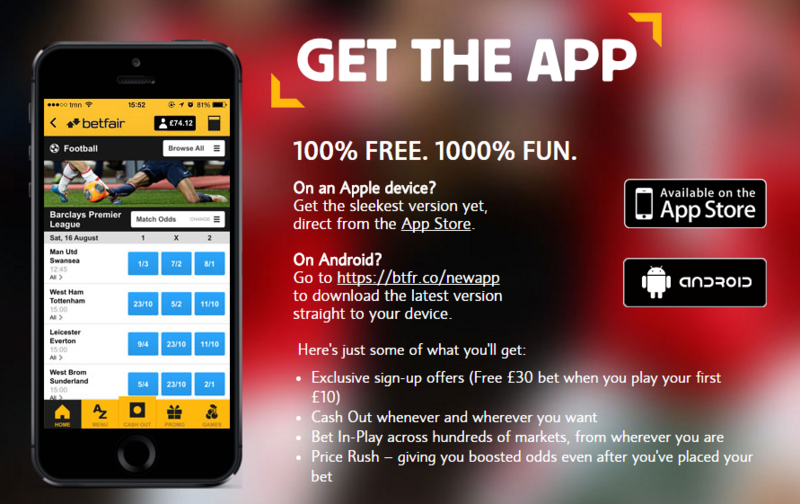 New users can claim their Betfair promo code through the app. There are also a range of other promotions for app users, which are updated regularly and can be checked when you log in. daily promotions such as free bets, acca multipliers and enhanced odds. You may deposit funds into your Betfair account directly from a personal bank account held with any Australian bank to the Betfair client account. The transfer can be made via internet banking or through over the counter transactions at a NAB branch. Note: Your Betfair account needs to be in AUD currency, but it need not be deposited from an AUD bank. Payments must be made from a bank account which corresponds to the name on your Betfair account or your payment may be rejected or subject to delays. BPAY is a fast, convenient and easy way to pay your bills. It’s being offered through Australia’s leading financial institutions and accepted by more than 45,000 Billers, BPAY makes it easier to pay bills anytime, anywhere by online banking. Note: BPAY payments can only be made if you Betfair account is denominated in Australian dollars. Step 1. 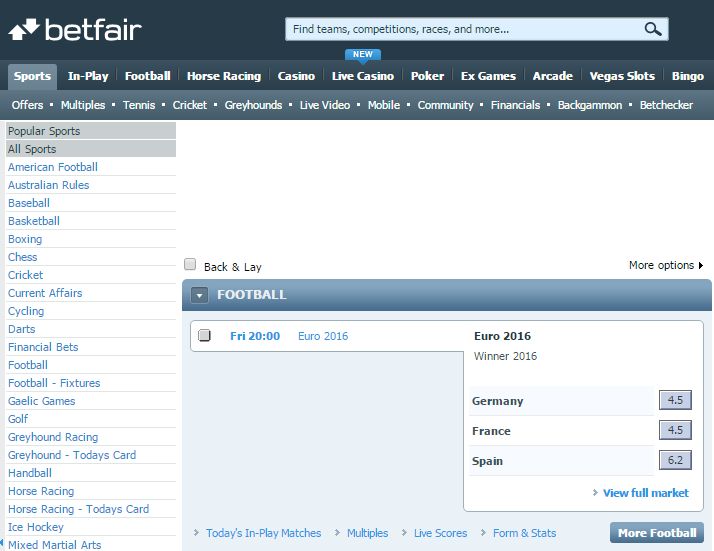 Click on “My Account” on the Betfair homepage. Step 3. Enter the required information and in a few seconds you will be able to use your card to make your Betfair promo code payment. Please note: – You cannot use a card that is already registered on another Betfair account and you cannot use third parties’ cards. Please note – Withdrawals are not allowed on Visa issued in your country. Once you have registered and used your card for deposits, you may be required to complete some security checks. Thereafter you may choose an alternate payment method to withdraw funds. Please note: – You cannot use a card that is already registered on another Betfair account or that has been used already to redeem a Betfair promo code. What’s more, you cannot use third parties’ cards. NETELLER is an online money transfer service available worldwide. Once you have registered an account with NETELLER and loaded it with funds, you can transfer money to your Betfair account instantly. Funds will be transferred in the currency of your NETELLER account. Moneybookers is an e-payment wallet solution that enables you to transfer funds into a ‘virtual’ Moneybookers account, via local bank transfers or cheque, and then transfer funds to your Betfair account. Moneybookers has bank accounts in over 20 countries into which you can transfer money quickly and cheaply. Having problems claiming your Betfair promo code, or experiencing other issues with the service? Don’t hesitate to contact the operator’s support team. You can contact them via email, through which they promise to reply in 24 hours. Won big on Betfair? Don’t end up like these lottery winners who squandered their fortunes!